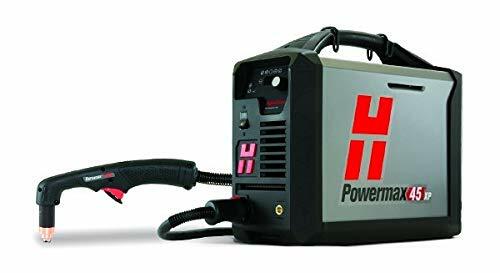 The Hypertherm Powermax 45 xp plasma cutter is one of the best plasma cutters in the industry. Now, let read a detailed review of it! 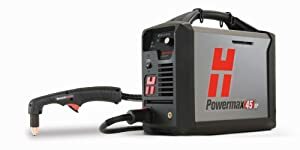 The Hypertherm Powermax 45 xp plasma cutter is one of the best plasma cutters in the industry. It has an increased output, therefore, increased speeds of cutting. The main thing that sets the Hypertherm Powermax 45 above its competition is the adoption of technology. The device has plenty of patent modifications and technology to make it more efficient than most plasma cutters. One such technology is the drag-cut technology. This particular modification makes the device easy to use even for first-time users. Air pressure is a major factor in plasma cutting materials. This is why the Hypertherm Powermax 45 comes equipped with SmartSense technology. The purpose of this technology is to ensure the air pressure is always correct. The result of this is a precise cut on the metal. The Hypertherm Powermax 45 is incredibly versatile. To begin with, it is light in weight making it more portable. It is also small in stature thus making it quite convenient for a 16mm or 5/8”-rated cutting system. 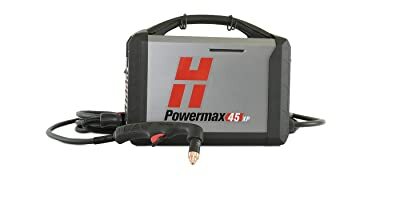 This Powermax Plasma Cutter has FastConnect torch connection and CNC interface. These two patented technologies make it possible for the device to be both mechanically operated as well as handheld. You can choose from a wide variety of consumable and torch styles. These apply to both handheld as well as automated processes. The Hypertherm Powermax 45 has a wide array of application capabilities. These are available via consumables. Hypertherm Powermax 45 is designed to give you maximum output. This reduces the amount of time you spend on a particular project, therefore, saving you time. It has a cut speed of about 1.5 times faster than normal oxyfuel cutters. In order to reduce the amount of time spent grinding and preparing the edges, the Hypertherm Powermax 45 grants you a superior cut and gouge quality. Consumables normally require to be changed out rapidly. To enable it to do this, the Hypertherm Powermax 45 has a torch disable feature that is brand new. The Duramax torches of the Hypertherm Powermax 45 are dependable. They are heat resistant and are designed to withstand high impacts. The Hypertherm Powermax 45 Plasma Cutter is equipped with Hypertherm Certified reliability. This technology ensures peak performance even in the most daunting of environments. 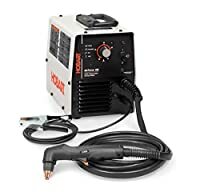 Plasma cutters are generally more energy efficient that oxyfuel cutters. They spend up to 11% less energy making them more conservative of energy. Additionally, you can recycle all the components of the Hypertherm plasma cutter. Therefore, the device manages to deliver more cutting power than oxyfuel cutters while bearing less weight. Has a small carbon footprint as it uses less energy than its predecessors. The device lacks the capability for maximum removal of gouging. The Hypertherm Powermax 45 comes equipped with a wide array of inbuilt technologies. These patent technologies set the device above its competition in several ways. It is light portable and convenient. In addition to all that, it is ruggedly dependable. These features make it a must buy for anyone in the metal cutting business.